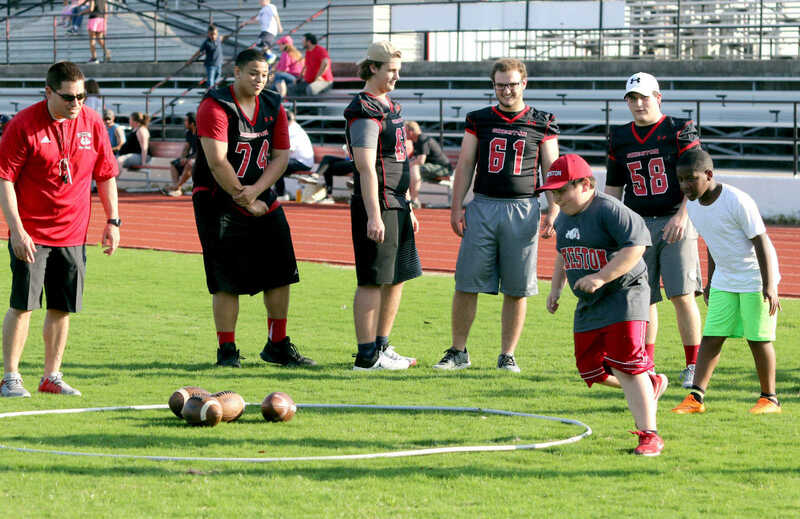 The Sikeston High School 2018 Youth Football Camp began Tuesday night and will continue through Thursday night at Sikeston Public Schools Stadium. 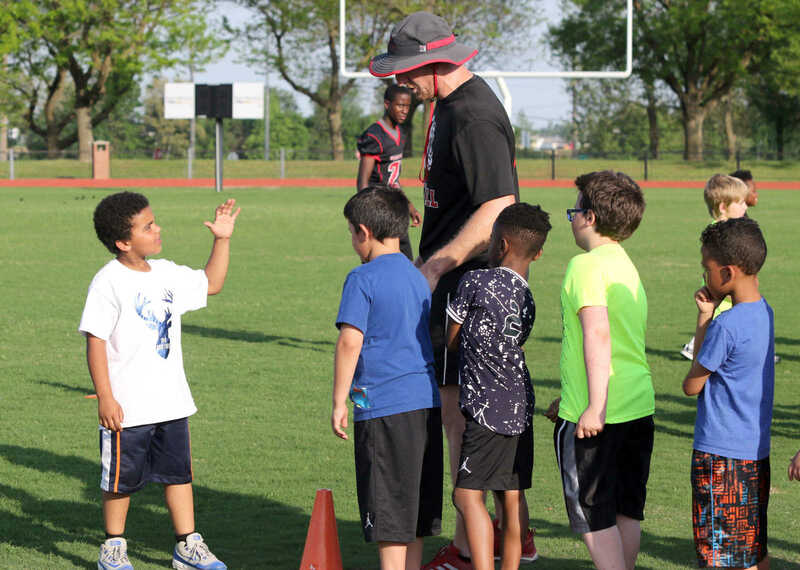 The free, non-contact camp for kindergarten through fifth graders emphasizes fundamental techniques of the game and teaches the youngsters basic football skills. 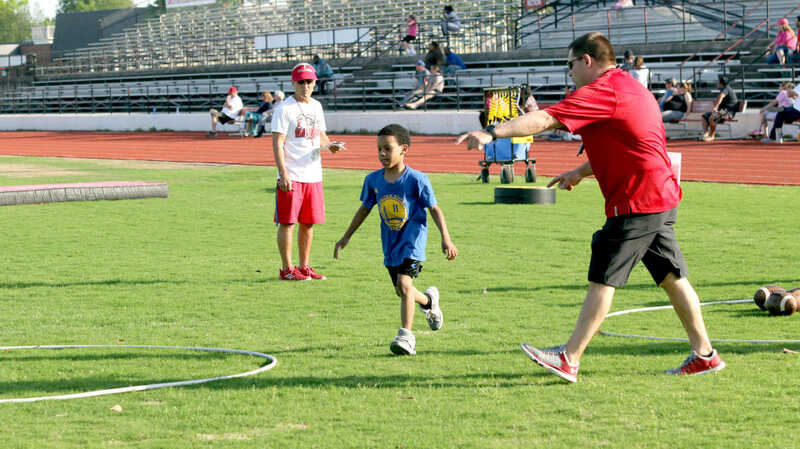 A youngster runs through a figure-eight drill during the Sikeston High School 2018 Youth Football Camp Tuesday night at Sikeston Public Schools Stadium. The free, non-contact camp for kindergarten through fifth graders emphasizes fundamental techniques of the game and teaches the youngsters basic football skills. A youngster tries to catch a pass while running through a drill during the Sikeston High School 2018 Youth Football Camp Tuesday night at Sikeston Public Schools Stadium. The free, non-contact camp for kindergarten through fifth graders emphasizes fundamental techniques of the game and teaches the youngsters basic football skills. A youngster asks a question during a drill at the Sikeston High School 2018 Youth Football Camp Tuesday night at Sikeston Public Schools Stadium. 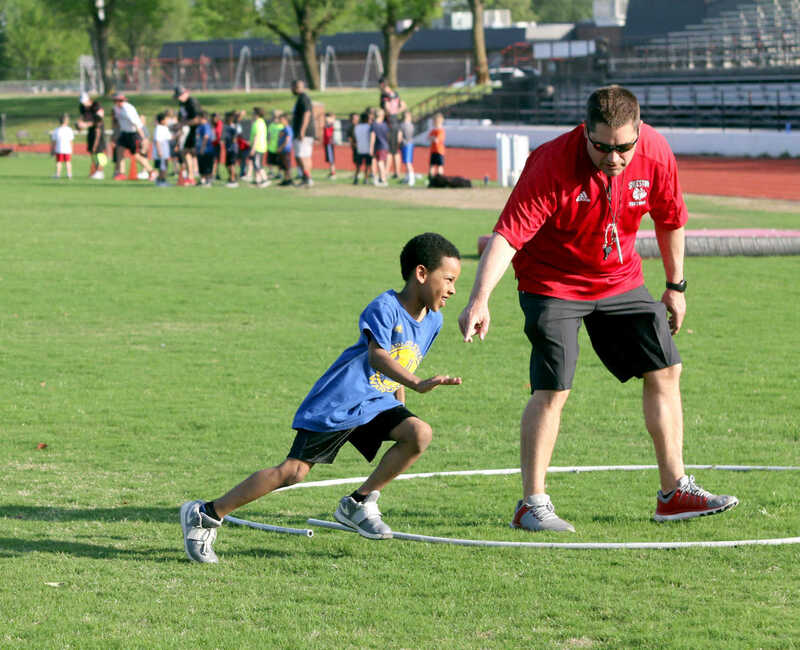 The free, non-contact camp for kindergarten through fifth graders emphasizes fundamental techniques of the game and teaches the youngsters basic football skills. 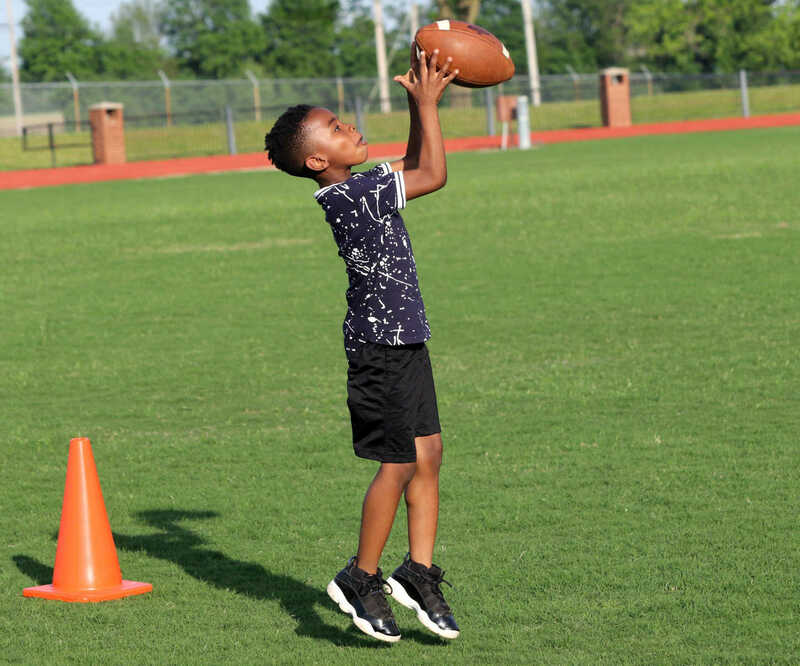 A youngster catches a pass while running through a receiver drill during the Sikeston High School 2018 Youth Football Camp Tuesday night at Sikeston Public Schools Stadium. 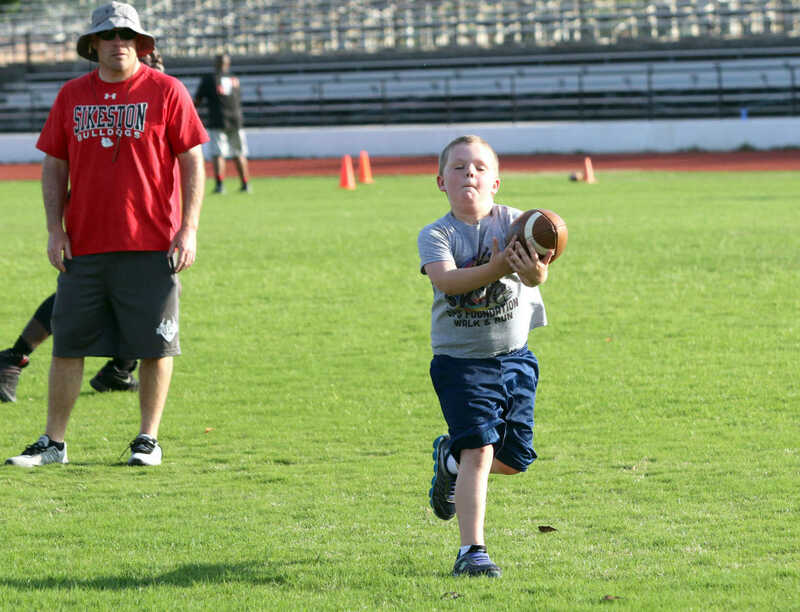 The free, non-contact camp for kindergarten through fifth graders emphasizes fundamental techniques of the game and teaches the youngsters basic football skills. 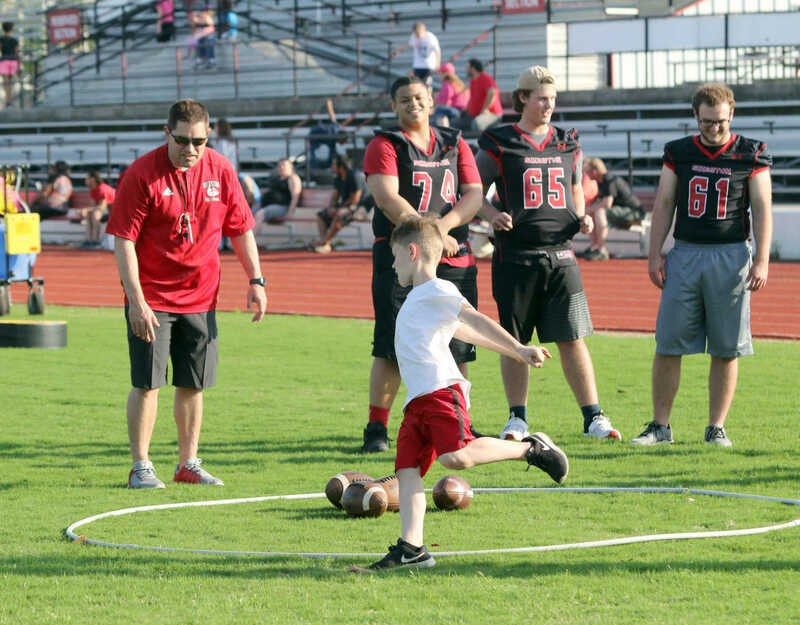 Youngsters head from one station to another during the Sikeston High School 2018 Youth Football Camp Tuesday night at Sikeston Public Schools Stadium. 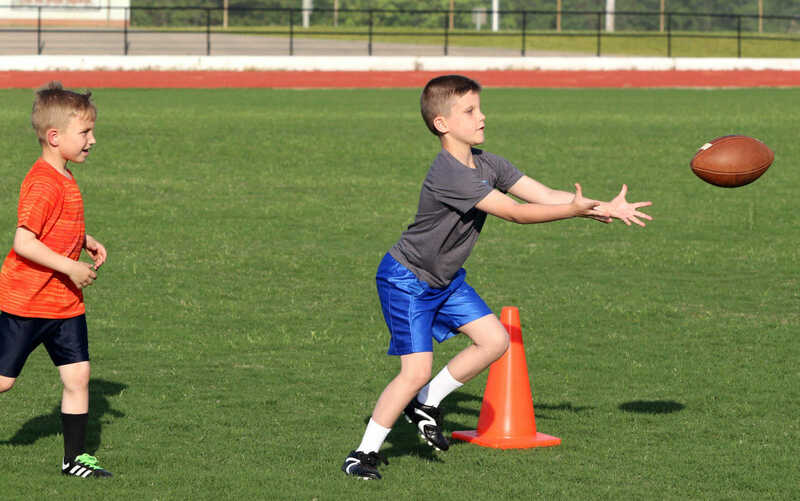 The free, non-contact camp for kindergarten through fifth graders emphasizes fundamental techniques of the game and teaches the youngsters basic football skills. 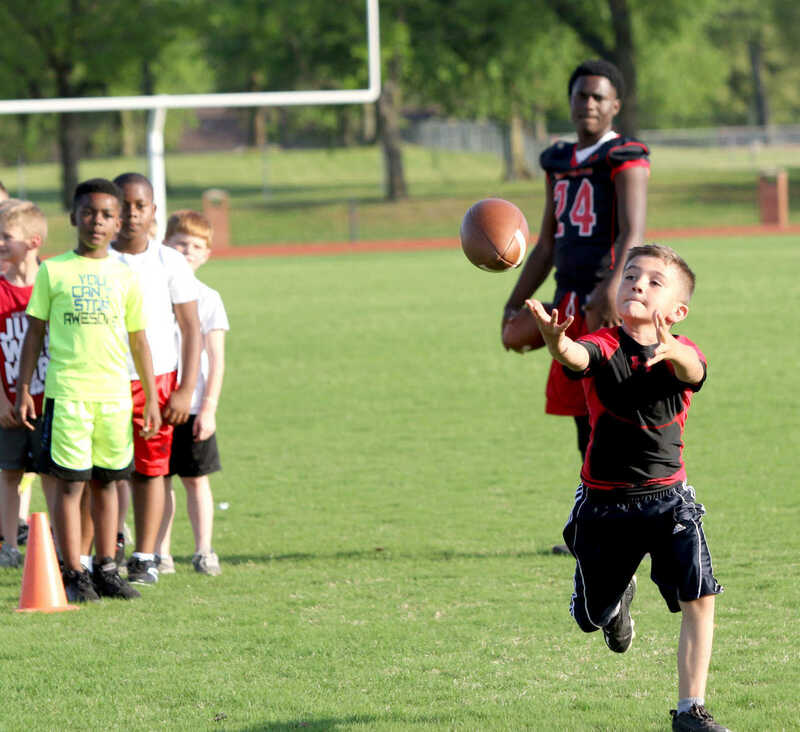 A youngster tries to catch a pass while running through a receiver drill during the Sikeston High School 2018 Youth Football Camp Tuesday night at Sikeston Public Schools Stadium. 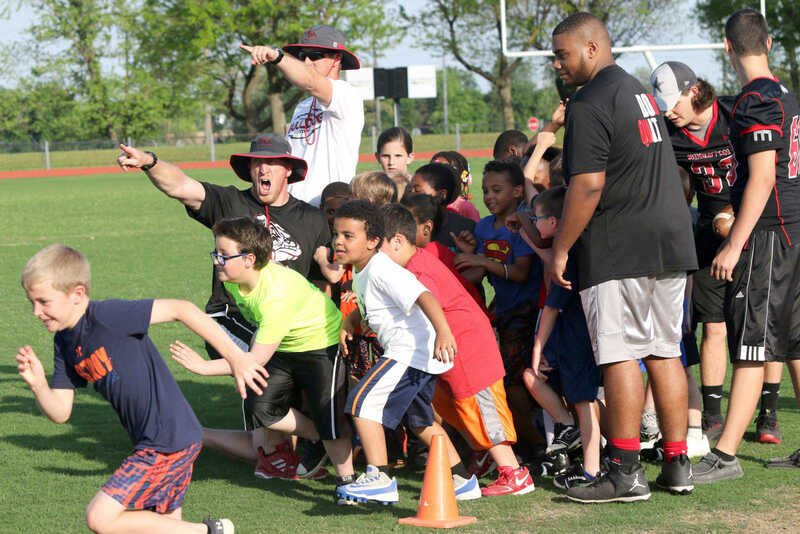 The free, non-contact camp for kindergarten through fifth graders emphasizes fundamental techniques of the game and teaches the youngsters basic football skills.